New Jersey Building and Construction Trades Council – Over 100 Years Strong! 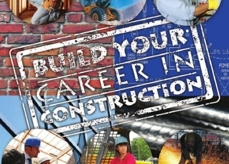 The New Jersey State Building and Construction Trades Council coordinates activity and provides resources to 15 affiliated trades unions in the construction industry . It represents 13 Local Building Trades Councils, more than 100 local unions and over 150,000 rank and file members. Created in 1903, the NJ B&CTC has helped its 15 affiliated building trades unions to make job sites safer, deliver apprenticeship and journey-level training, organize new workers, support legislation that affects working families, and assist in securing improved wages, hours and working conditions through collective bargaining and project labor agreements.